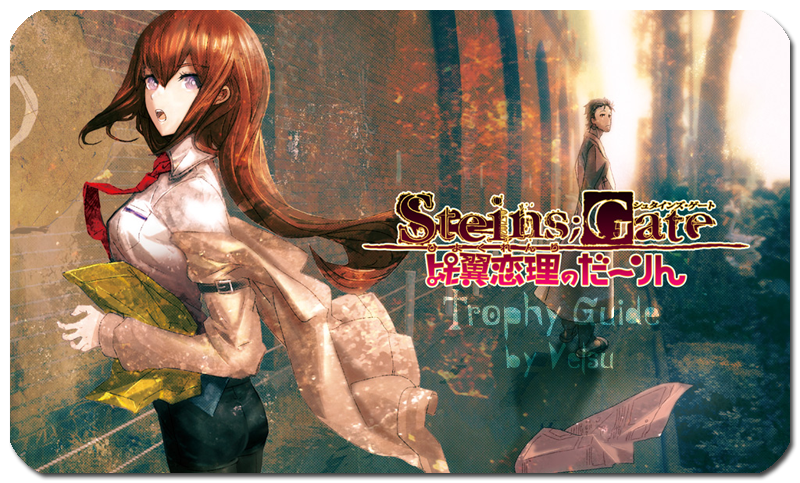 This game is similar to previous Steins Gate but its much easier. You just auto-skip until game stops, open Your Phone and follow the instructions. The game always auto-skips and stops so there is nothing to worry about. 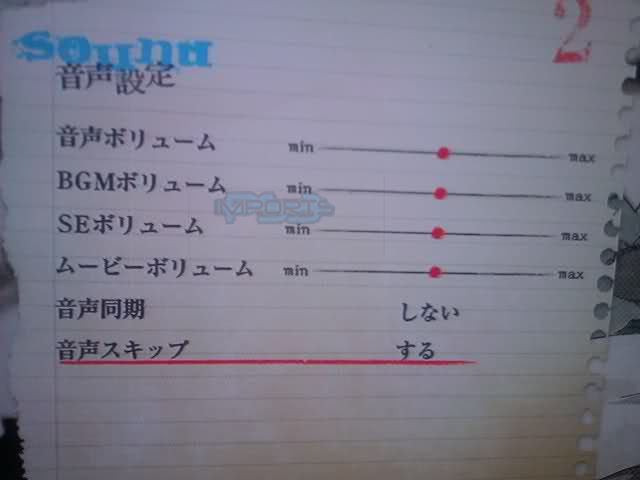 In this guide only thing You gotta do is follow the numbers of choices, there are no japanese signs etc. because i was trying to make this guide compatible with upcoming Korea version (if hopefully they wont change anything). Always remember to system save the game each time You quit via "Return to Title" (left option is yes when question pop ups). You will get most of trophies by following character routes. Last thing to do is Mail Recovery which focuses on reading EVERY mail in the game for a trophy. You will also need to view attachments - to view the attachment press on the message and the image will appear. Additional instructions will be placed in important places. If korean version will have different language just remember to press once on last option in 1st screen and once for each of two options in 2nd screen. When auto skips stops You press to access the phone and select the Mail icon. Then You open the first unread mail from the top (You can check if date and hour are the same to confirm its a right track), then select the reply (marked with blue letters) - in this example its the only choice so select it with directional button and press and confirm. When reply is sent go back and proceed with skipping by pressing . Go into options and set it as shown on screens. You can also pick Extras and Clear List for a quick trophy. Open Your phone with and click Mail Icon. Check Received messages (1st option) and Sent messages (2nd option) for trophies. Open Your phone – select the wrench icon --> 1st option to change wallpaper and get a trophy --> 2nd option, pick song and again 2nd option to change tones for a trophy. Proceed with the game and auto skip until 8/6. This is one of two tricky points in the game, because the game WONT auto stop on Your first important mail. Refer to date and time to make sure this is the right place. Also please note that one mail from 8/5 at the beginning of the game can bug if You open any earlier mails and it wont appear. If You wont get platinum and are missing 1 mail from 8/5 then reload Quick Save 1 and just press to auto skip until the game stops, then read all 8/5 messages. Now, we want to finish the chapter with unread mails so leave some messages unread and continue forward (They can be old messages from date 8/5 and older). As soon as phone is available to use - Call Mayuri (8th option) - Open the phone and choose icon with a face. Now we will Quick Load save number 3 to get all mails. (Remember to use Quick Load, not Load). Quick Load save number 3, Open phone with and read EVERY single unopened mail You have in mailbox. When done, press --> return to title and be sure to save when prompt asks You about it (left option is yes). While in Main Menu go to Extras and Open CG, sound and movie libraries for trophies. Open the phone and send the message. Now we gonna proceed to the second part of the guide - reading EVERY mail in the game to obtain the platinum. Open Extras --> TIPS. Read all tips. It can get promoted to an article. 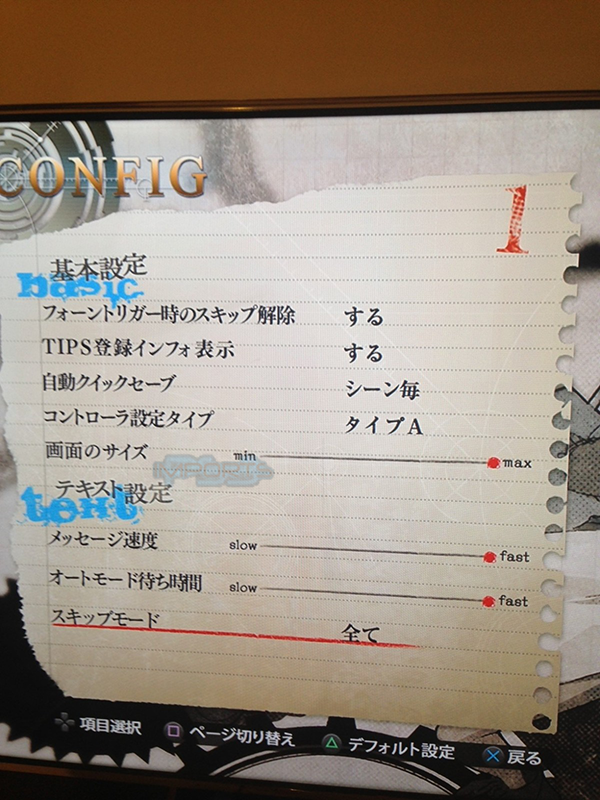 I tested this guide on 2 accounts and ginko also tested it for me and there were no flaws. I can not see the images you have in the guide, why? Btw has anyone seen if the Korean Versions are being sold yet? Not sure, i can see them fine. I can host them on some service and paste links if You are having issues. (although i included text description what to change). re-uploaded pictures to outside host. I assume standard members can't see attached images, so they need to be hosted on the outside source. 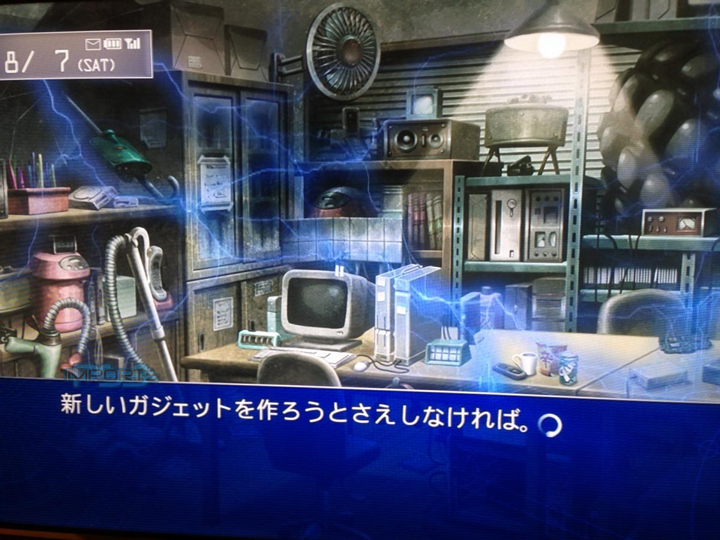 The climax image is not necessary for plat, its just to help out get an idea where stuff happens. Edited by KRUGERHG, 17 April 2014 - 03:09 PM. I changed the permissions, can you see it now? I assume if that is the way he wrote it, it would be the next email to create a save? There are instructions in the guide. Cant explain it better. Guide worked like a champ, I couldn't have Platinumed the Korean Version without it (now I know what it feels like when non-Japanese speakers play games in Japanese, I'm not used to the feeling of "WHAT ARE ALL THESE SYMBOLS, FUUUUUU I HOPE I'M PICKING THE RIGHT ONE" hahah). Thanks so much Velsu!